Inspired by the beauty of the night sky, the Starlight Jewellery Collection celebrated the brilliant wonder of nature, the night sky. Available in four shapes round, cushion, marquise and heart; the rows of concentric diamonds glisten with fire and brilliance. Exclusive to Shimansky, the Starlight Collection radiates the energy and personality of the woman who wears it. 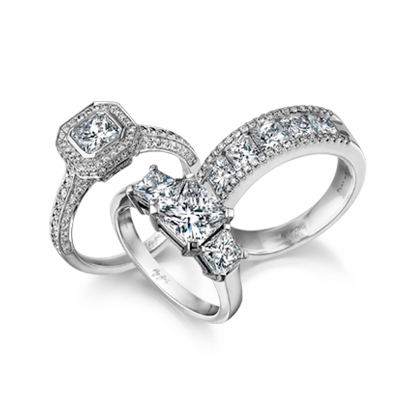 The collection includes rings, earrings and pendants and is available in 18K white, yellow and rose gold. Learn more about the Starlight Jewellery Collection.